2016 was one of the most challenging yet rewarding times of my life. It began with a sudden shift in my sight and changed my focus for the entire year. The eye surgery February second left me with less functional sight in my better eye than was expected. I tried to focus on what was needed to enable me to keep my businesses going. 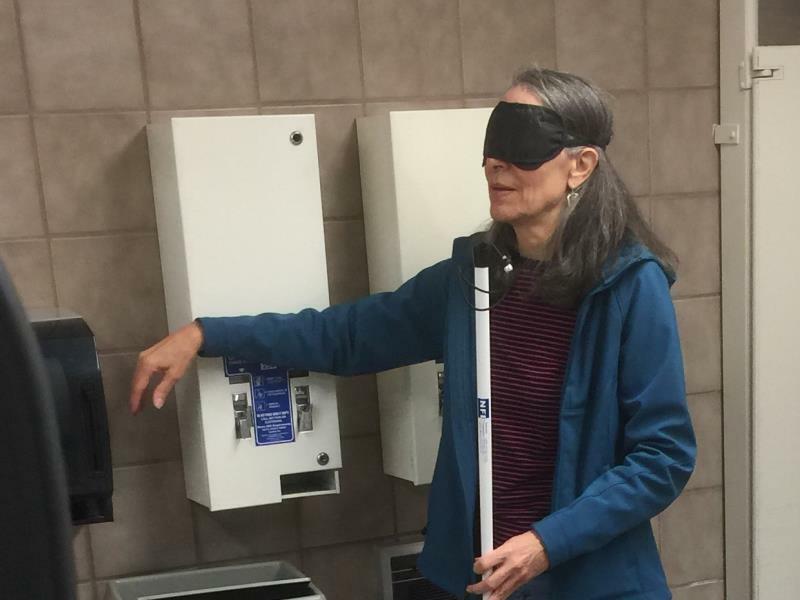 Blind and Low Vision services supported me with special tools. I was in the process of moving my calendar and all related business systems from print to computer when anger came out of nowhere. Anger came from deep inside. It woke me up and forced me to look at the truth of my situation. Anger stayed until I invited it to tell me why it came so it could leave. It tried to convince me to to hide. Fear tried to stop me when the rehabilitation counselor recommended I investigate organizations for the blind. When she suggested I attend a month long training for the blind fear exploded. It was harder to deal with fear than anger. When I allowed anger to fully express it left. Fear refused to go away. It kept getting in the way each time I tried to move forward. I was determined to learn to love this unwanted condition and find the gifts hidden inside. When I began listening to my own inner voice I found the courage to explore this new territory. Using my new magnification and reading tools consistently I realized the physical fatigue I was experiencing was caused by eye fatigue. Relying less on my one better eye to see I was no longer tired at the end of my work day. It felt good to know I was not alone. I thought I was crazy because my sight changes so often. It took lots of time and energy to learn to use the new technology tools and find different ways of doing everyday tasks. Fear had settled down and I was finding a new balance when I was asked to work with an orientation and mobility therapist which included learning to use a white cane. Fear came rushing to the rescue like a mother bear protecting her young. I am not that blind. Why do they think I need a white cane? I entered my biggest battle with fear to date. After my chat with anger I promised myself I would receive all the help Blind and Low Vision services had to offer. I was committed to living my life out loud and fearless and began my orientation and mobility training. I learned to rely on more than my eyes to see. I learned to move forward into the darkness with confidence. I began putting my needs first. I learned to care more about what I know us best for me and less about what other people think. I gained the courage to hold my head up high and take up all my space in the world. I experienced the kindness of strangers and the love and support of good friends. Dancing with a simple white cane taught me how to give more love and compassion to myself and others.